This detached garage was designed to convert an open one car garage into a cozy one bedroom apartment used for short term rental. 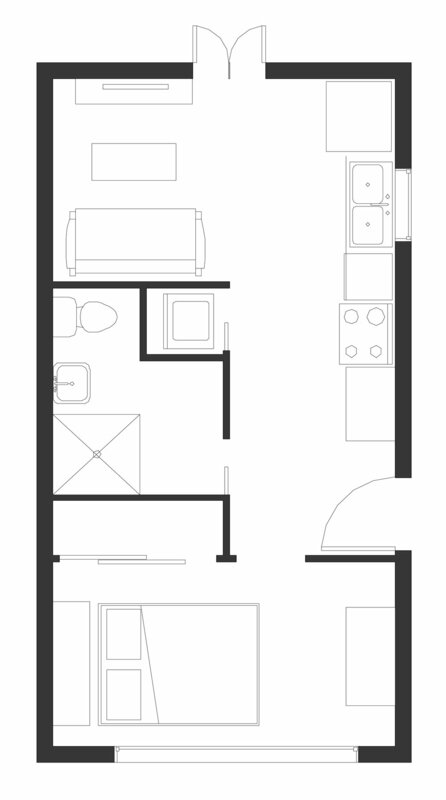 The small space features large sliding doors, glass shower, washer and dryer, closet and full galley kitchen. Client led construction with remote coordination from PLACES studio.